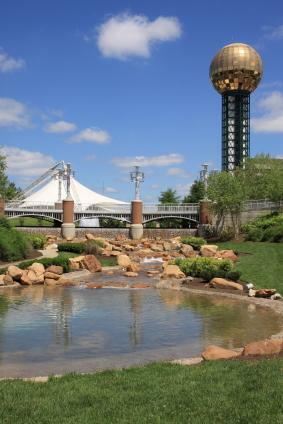 The third largest city in Tennessee, the Knoxville area is rich with things to do. Situated near the Appalachian Mountain system, outdoor enthusiasts flock to this southern city year-round. If you're staying in the Knoxville area, there are several day trips that are sure to delight. Knoxville is one of the largest cities in the Appalachia region. Located just 20 minutes for the Great Smoky Mountain range, as well as bordering on three major rivers, those who want to get in touch with the natural side of things will not lack for something to do. The Great Smoky Mountain National Park is within an hour of Knoxville. The park is open year round; however, some campgrounds, trials and roads are closed during the winter, so be sure to check before heading out to the great outdoors. Entrance to the park is free, but if you are doing more than picnicking or hiking, there are fees. There is no shortage of oudoor sports, including hiking, fishing, camping and horseback riding. In addition, the park boasts one of the best collections of log buildings in the United States. There are over 90 structures to visit. Outside Knoxville runs the Ocoee River, where adventure seekers can opt to take a day trip down its whitewater expanse. The river provides Class III and IV whitewater rafting for those seeking a thrill or two. However, don't go it alone. Use a whitewater rafting guide such as Ocoee Rafting. They offer guided raft and tube day trips with experienced guides to help you navigate the river. Prices vary according to the length of the trip. Kayakers can also opt to try their hand at the river's whitewaters. Almost an hour from Knoxville, you'll find the family-friendly town of Gatlinburg. For many, this mountain resort town is the destination for visiting the Smoky Mountains. 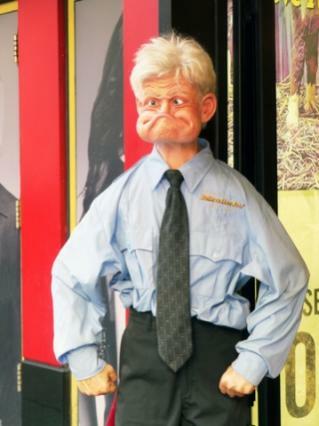 However, in addition to offering beautiful views, Gatlinburg boasts a host of interesting tourist attractions. There is something for everyone in this not-so-quiet resort town and is definitely worth a trek from Knoxville if you have time. Save money by buying a combo ticket online. You can get a combo ticket for the museum and as many attractions as you'd like to see. Pigeon Forge is busting at the seams with quirky, but family-friendly attractions as well as popular destinations that outdoor enthusiasts will love. Rent an ATV, go whitewater rafting or check out some of the locally unique attractions that bring families back to Pigeon Forge. If you're wanting a theme park experience with a bit of southern charm, try Dollywood. The Dollywood Theme Park boasts rollercoasters, great entertainment and shows, and kiddie rides. Tickets for the day will run you around $60 for adults and $50 for children. The season passes are priced considerably lower, and are well worth it if you think you can make it back in one season. If nautical history is your thing, you aren't going to want to miss the Titanic Museum in Pigeon Forge. The museum is a living history museum, in that it boasts costumed interpreters that help bring the story of the Titanic to life. Tickets will cost around $23 for adults and $12 for children. However, if you make your reservations in advance (which is highly recommended as they tend to sell out very quickly), then you can buy a family pass for $60 which will cover two adults and two children. For many families, Knoxville is the perfect combination of pristine natural wonders, and great family fun. No matter what time of year you go, you'll never run out of stuff to do. To keep up to day on special hotel offers, events and local attractions, make sure to sign up for the free visitors and tourists guide.